Anguilla was first settled in the year 1650 by runaway indentured servants from Barbados and small farmers from St Kitts escaping the heavy tobacco taxes, imposed there to pay for the defence of that island against French invasion. Poor as the soil of Anguilla was in comparison to St Kitts, they preferred the freedom offered by an island with no formal government establishment. In 1666, some sixteen years after the settlement began, the leading members of the isolated and impoverished Anguillian settlers formed themselves into a self-appointed Council and elected their own deputy governor. For many years, this Council acted as an informal legislature, judiciary and executive for Anguilla. The power it exercised was not sanctioned by any local or regional statute or other law. By contrast, Bermuda boasts the second oldest continually sitting legislature in the common law world dating back to 1621, the oldest being that of the colony of Virginia in America, 1619. The earliest volume of the laws of Bermuda was published in 1719, though individual laws had been enacted for a century previously. The earliest volumes of the laws of the Leeward Islands, published in 1740, include laws passed by the Assembly in Montserrat as early as 1668, indicating the antiquity of that island’s legislature. That for Nevis contains laws dating back to 1666. That for St Kitts, also published in 1740, contains earlier laws dating back to 1711, though there had been a legislature for nearly a century prior to that date. In almost every other Leeward Island, Royal Patents were sent out from London for the appointment of a deputy governor, an island Council and an Assembly to make laws. The Virgin Islands was the only other colony that at first functioned without an Assembly. In the year 1773, the first half-hearted and generally ineffective Assembly was established for Tortola. It took another ten years before the first Act of the Virgin Islands legislature was assented to by the Governor in Chief in Antigua. Generally, the powerful planters of Tortola sabotaged the Assembly, as they were suspicious of any development that challenged their primacy over their slaves and their properties. We can safely assume that the same motive was at work in the lack of any enthusiasm in the Anguilla land-owners to demand a formal legislature for Anguilla. In Anguilla, for some 175 years after the island’s settlement in 1650, there was no lawfully constituted Assembly to make laws for the people. When in 1825 the first laws were passed specifically for Anguilla, they were made by the Assembly in St Kitts. Such a degree of neglect by the colonial authorities was unique in the West Indies. 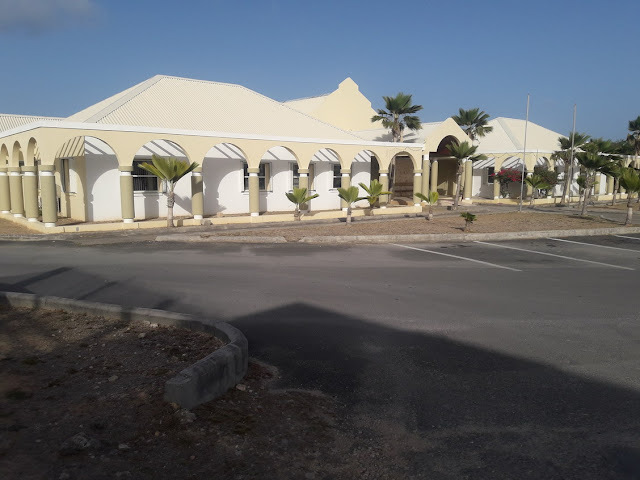 The first legislature to be legally established in Anguilla, by which the people’s representatives made laws for the island, came about as recently as the year 1976, or 326 years after settlement. The earliest Anguilla Councils were self-appointed and were merely tolerated by the colonial authorities in Antigua. In later years, the Governor-in-Chief invariably confirmed the local appointees, and never interfered in the affairs of the Anguilla Council, as he frequently did in the more prosperous and consequential colonies of Antigua, St Kitts, Nevis, and Montserrat. He touched on Anguillian affairs only when there was an appeal from a decision of the Anguilla Council, which he would often pass on to the Secretary of State in London for a ruling, since he exercised very limited authority over the Anguilla Council. The result was that, throughout this early period, the common Anguillian man and woman endured the unregulated government of their Council of local, invariably white, planters, without the benefit of any real supervision by the colonial authorities. There was no Assembly to enact statutes under which the people could be governed. Under the colonial regime of the day, no law enacted in one colony could apply in another. The truth is that Anguilla was too poor, and of no consequence to the colonial authorities, since it contributed nothing to the Crown to merit any expenditure of time or money on its administration. The result was that up until the year 1825, the Anguilla Council, in effect, acted as the executive, legislative and judicial branches of the government of Anguilla, without any formal constitutional or statutory authority. Their business . . . was to plant corn, and breed tame cattle, for which purpose they brought stock with them. They were poor and continue so to this day, being perhaps the laziest creatures in the world. Some people have gone from Barbados, and the other English Charibbee Islands, thither; and there they live like the first race of men, without government or religion, having no minister nor governor, no magistrates, no law, and no property worth keeping. If a French author is to be believed, . . . ’The island is not thought worth the trouble of defending or cultivating it’. Regular periods of drought; frequent hurricanes; and a thin, poor and unproductive soil offered limited opportunities for growing the cash crops that flourished in St Kitts and Antigua. The people were further impoverished by the devastations brought by the wars between the English and the French. Only the keeping of small stock such as goats, and subsistence farming of such hardy crops as maize, sweet potatoes, and pigeon peas, could ensure the survival of the people. Fishing added some protein to their diet. Goats were mainly sold for cash in St Kitts and Antigua, or were slaughtered on special occasions. The risky enterprises of privateering during times of war, and the continuous smuggling among neighbouring islands, brought into the island a limited amount of coin. Laziness was no part of the hardy Anguillian nature. No one could prosper, far less grow rich, in such adverse conditions. As the Governor-in-Chief said of the governor of Anguilla in a 1724 dispatch, “If his cudgel happens to be one whit less than a sturdy subject’s, then good night, governor!” The result was that Anguillians lived, worked and died through the late seventeenth, the eighteenth, and the early nineteenth centuries without the benefit of any legal system for their government. The first effort to create an Assembly for Anguilla to make laws for the island, then classed among the Virgin Islands, was an initiative of Governor Mathew in 1734. As he wrote to the Committee for Trade and Foreign Plantations, the people of Anguilla were in continuous property disputes. In the absence of a court system, he wrote, the stronger party always had the better title. Some sort of Court was required for citizens to have both a fair hearing and also a remedy against wrongs done to them. Additionally, there was no provision for the trial of criminal cases. Offenders could not be prosecuted. Governor Mathew gave as an example a case of a person accused of murder and brought to St Kitts for trial. There, he was tried and convicted of murder. When he broke out of jail, he could not be re-arrested as the Attorney-General advised that his trial in St Kitts for an offence committed in the Virgin Islands was illegal. 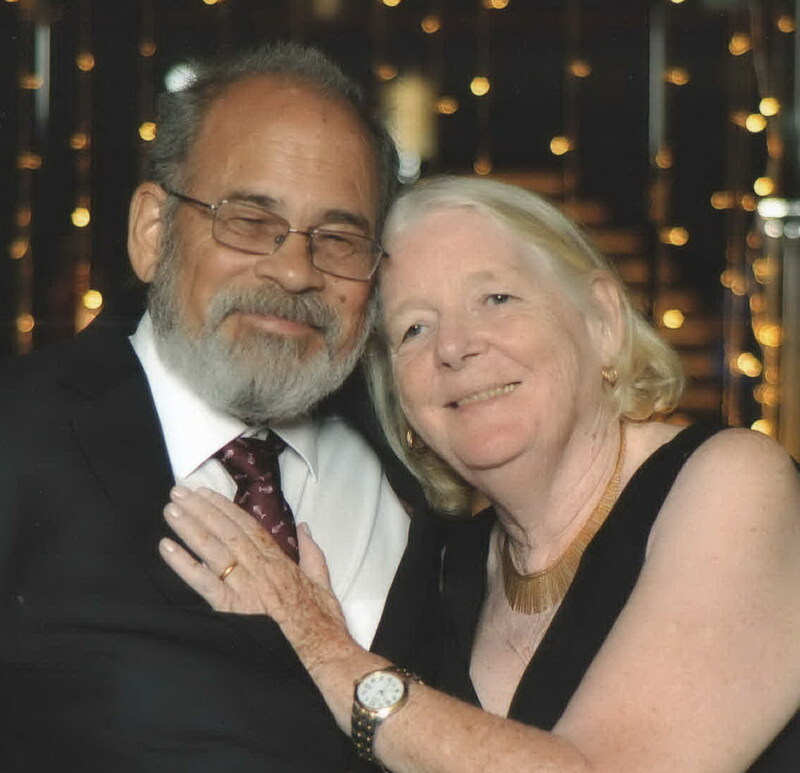 His effort at establishing both a court and a legislature for Anguilla came to nothing. For the next seventy years until 1825, Anguilla continued to have no legally established judicial system. All members of the Council were by the mid-eighteenth century appointed as Justices of the Peace. A committee of them sat to adjudicate disputes and to hear complaints, and imposed such penalties and fines and gave such decisions as seemed proper to them. Appeals from such decisions of the Council lay informally to the Governor in Antigua, but this right was seldom exercised. In the year 1825, prolonged drought; regular hurricanes; and the long wars with the USA and France, which ended only in 1815, combined to bring the Anguilla planters to their knees. 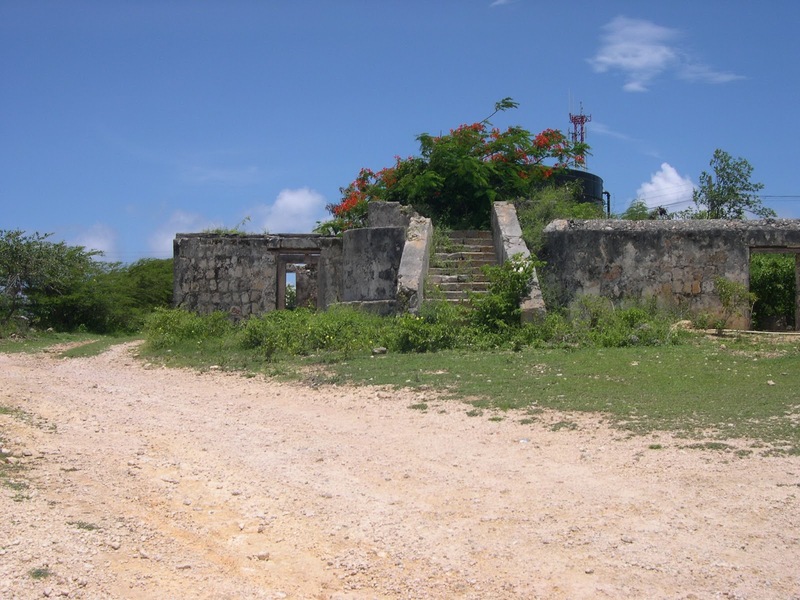 The British blockade of trade with the enemy during the preceding 30 years devastated the vital Anguillian privateering and smuggling industries, while the alternating periods of droughts and hurricanes destroyed the small-stock, crops and homes of the islanders. The law suits in the island’s unofficial courts after 1780, traces of which have survived in the archives, demonstrate in a practical way just how the economy had collapsed. The sums being sued for declined from hundreds of pounds before the American Revolution of 1776 to just a few shillings and pence in the fifty years before Anguilla was joined to St Kitts. Their economy having collapsed, the Anguillians submitted to pressure from London to be governed by St Kitts. London’s main interest in the union, as evidenced in the correspondence of the Secretary of State with the Governor-in-Chief in Antigua in the early part of the 19th century, was to have some form of law-making power that would apply law to the Anguillians, particularly the existing slavery amelioration laws and the coming Abolition of Slavery Act. In 1825 the St Kitts Legislative Assembly, under pressure from London, passed the Anguilla Act to provide for its laws to extend to Anguilla. Anguillian planters who met the voting qualification (ownership of 100 acres of land) elected one representative to the St Kitts and Anguilla Assembly. In this way, in the year 1834, the Slavery Abolition Act of St Kitts was effective to bring an end to slavery in Anguilla. From 1825 Anguilla began to share the judiciary of St Kitts. The Chief Justice of St Kitts and Anguilla, under the authority of a Writ of Assizes issued by the governor, visited Anguilla at intervals to conduct the Court of Oyez and Terminez for the trial of criminal cases. All previous trials between 1650 and 1825 had been completely unauthorised by any similar enactment or other formal law or legal system. The first Courthouse on Anguilla appears to have been deputy governor Benjamin Gumbs’ house on the top of Crocus Hill, turned over to public use after his death. There is no surviving record of how this came to be. The little complex of out-buildings around the main house served as the Customs House, Post Office and Police Station. It was for some 150 years the administrative centre of the island. It was approached from South Hill and North Hill villages and the west via the public footpath from North Hill. It passed down into Katouche Bay Valley and up the public path to the Valley where the road leading to the Masara Resort now runs. The Old Courthouse was ideally located, as Crocus Bay, the main port of entry, lay to the west at the foot of the hill, while the town of The Valley lay immediately to the east. When the Chief Justice visited Anguilla from St Kitts, the main building of the complex served as the Courthouse. Living accommodation for the visiting Judge was problematic. For at least the first 50 years after 1825, the visiting Judges complained to the lieutenant governor in St Kitts that, as there was no guest-house in Anguilla, they were forced to spend their nights on board the schooner in the harbour. Presiding at the first sittings of the Court Oyez and Terminez, and later of the Court of Kings Bench, to hear criminal and civil cases in Anguilla was Richard Williams Pickwood, CJ of St Kitts and Anguilla, and Anguilla’s first High Court Judge. Joining him on the bench at the Courthouse were two Assistant Justices, who acted as assessors of the facts. A minute of their proceedings in criminal matters for several years is preserved in the records held in the Archives in Basseterre, St Kitts, and at Kew Gardens in London. After 1825, Anguilla’s legal and judicial system evolved in tandem with that of St Kitts, and the colony was now officially titled “St Christopher and Anguilla.” Significantly, in 1882, when the Council and Assembly of Nevis were dissolved, and Nevis joined to create a three-island colony, it was, from then until 1967, officially known as the “Colony of St Christopher and Nevis”. The name of Anguilla was dropped, until briefly added to the 1967 Associated State. With the passing of the Slavery Abolition Act of 1834, Special Magistrates appointed by St Kitts were stationed in Anguilla to oversee the Apprenticeship Period which lasted until 1838. After 1838, and until 1882, the Magistrates of Anguilla were usually professional lawyers who were appointed as Stipendiary Magistrates, meaning they got paid. The first on record was Thomas Egar (who served 1835-1841). He was followed by other qualified lawyers who doubled as the St Kitts-appointed local administrator for Anguilla. The most famous and long-lasting was Chief Justice Pickwood’s son, Robert William Pickwood, who served for 20 years from 1842-1862. He was so dedicated to his duties in Anguilla and so well-respected by everyone that, when he died in St Martin, the funeral that the French gave him was described in the official correspondence as almost a state funeral. The old Courthouse with its out-buildings stood from the mid-1700s, when it was first built, until 1 September 1950, when Hurricane Dog hit the island. This hurricane completely destroyed the wooden structure, leaving only the stone foundations remaining. The masonry basement, including the cellar which served as the prison cell while Court was in session, can still be seen there. The ruins are overshadowed by two large, ugly, black Rubbermaid water storage tanks and two equally large and ugly radio aerials raised in the Courthouse yard. Goats, mimosa and Flamboyant trees and strangler fig compete to see which can be first to totally destroy the abandoned remains. In the years after 1950 when Hurricane Dog destroyed Governor Benjamin Gumbs’ old Courthouse building, temporary quarters were found in the private home of “Uncle Willie” opposite the present Comprehensive School. The original wooden building has now been replaced with a modern concrete structure, occupied by NAGICO across from the High School. It was only in the year 1964 that the St Kitts government built a new Courthouse for Anguilla. Wallace Rey was appointed to head Anguilla’s public works after he retired from the US Air Force Base in Antigua where he had found employment at the start of World War II. Wallace Rey designed and built the new Court building. Its reinforced-concrete transverse arches that reach up from the foundations, and go up and over the roof to descend on the other side, made it one of the most imposing structures at the time on the island. Its design reflects that of St Mary’s Anglican Church, which he also designed and built around the same time. Wallace Rey’s 1964 building served, at first, only the Magistrate and the occasional visiting High Court Judge. 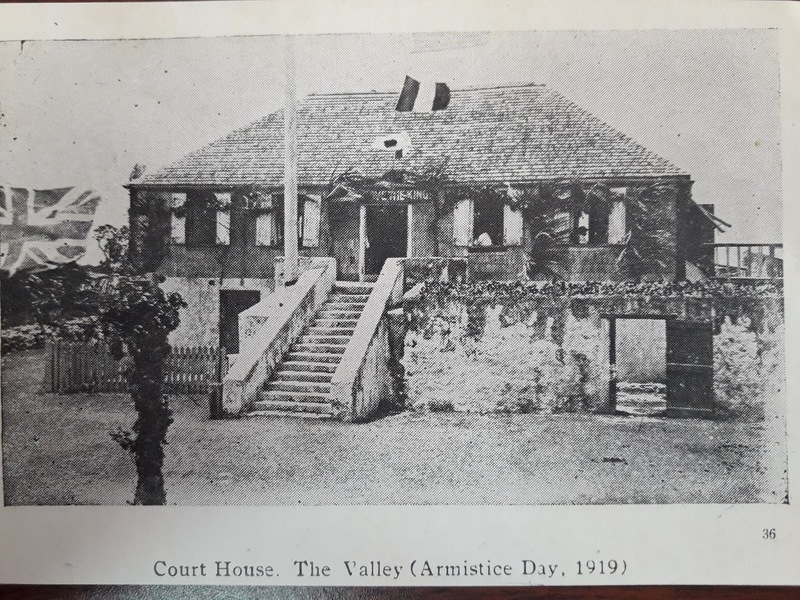 Later, it was to also house the Anguilla House of Assembly, and the Court of Appeal. These all shared the one-room premises without difficulty, since when the High Court Judge or the Court of Appeal visited, no other Court or the Assembly sat. The Magistrate doubled as Registrar of the Supreme Court. This was the system in place which I met when I was appointed Magistrate of Anguilla and Registrar of the Supreme Court in August 1976. At that time, and for the next several years, the only lawyers in the public service were the Attorney-General and the Magistrate. The first Crown Counsel to assist the Attorney-General, Kurt Defreitas, was appointed in the late 1980s. As for Wallace Rey’s building in which I served as Magistrate and Registrar, it is no longer a Courthouse. It presently serves as the offices of the Statistics Department. The short-lived West Indies Federation broke up in 1961 when Jamaica chose to go into independence rather than stay tied to the smaller islands. Trinidad and Barbados left shortly after, and the Federation was dissolved. By the year 1967, the individual colonies of the Leeward and Windward Islands were themselves headed to independence. They first entered into the intermediate status of ‘Associated Statehoodship’ with Great Britain. The old, separate Supreme Courts of the Leeward Islands and that of the Windward Islands, re-established after the collapse of the Federation in 1961, were merged into the new ‘West Indies Associated States Supreme Court’. Associated Statehoodship brought with it the West Indies Associated States Supreme Court. It had a short life span in Anguilla. Almost immediately, Anguilla was in rebellion against being forced into Statehoodship with St Kitts and Nevis. 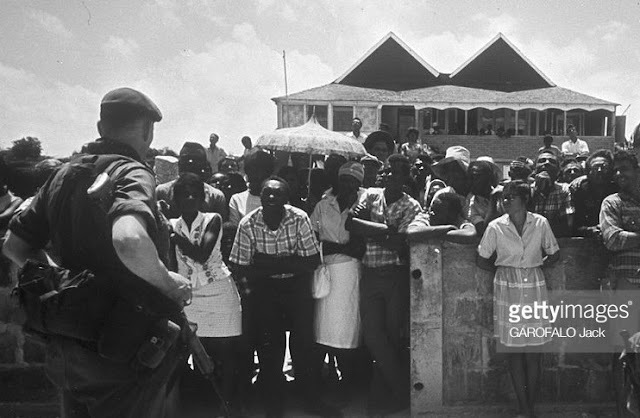 The Anguilla Revolution of 1967 was the first successful armed revolt in the British West Indies. 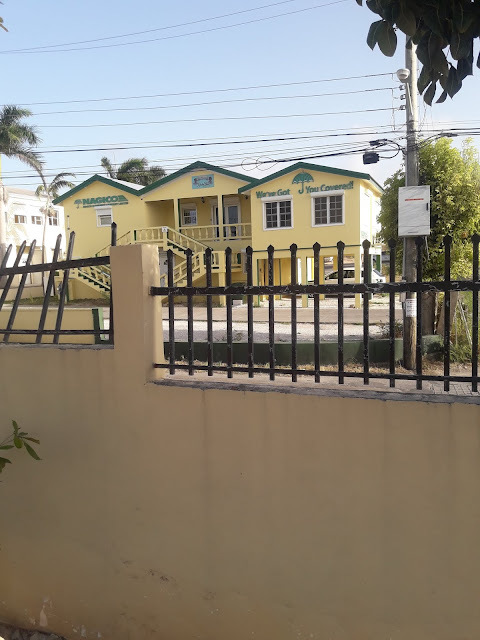 I am told that the thirteen members of the St Kitts police force manning the police station were packed onto a LIAT airplane still dressed in their pyjamas. The St Kitts Judge was jeered out of his Courthouse and chased down the runway until he boarded a waiting flight to take him back to St Kitts. The social welfare officer, Raphael Lake, was appointed Magistrate by the Anguilla Council, and functioned in that office until he was replaced by the British administration after their invasion of the island in 1969. In 1971 the British Parliament passed the Anguilla Act, which permitted Britain to separately administer the Anguillian part of the Associated State of St Kitts, Nevis and Anguilla. Britain selected and paid for a Magistrate, a High Court Judge, and three Judges of the Court of Appeal. These were appointed by the Judicial and Legal Services Commission of the West Indies Associated States. Appeal lay to the Privy Council, and at least one appeal went all the way before Anguilla re-joined the official West Indian judicial family. The Judges were mainly retired West Indians, while the Magistrates came from either Britain or the West Indies. In the early part of 1972, the first laws for Anguilla, made in Anguilla, were enacted under the provisions of the 1971 Constitution. There were twenty-six laws in all, covering such matters as financial administration, police, council elections, marriages, courts, and taxes. These laws were made by the Commissioner “after consultation with the Anguilla Council”. They were not introduced into and debated in any legislative Assembly in the normal way. They were enacted by the Commissioner. This was not a satisfactory state of affairs, and this early period was marked by disputes between the local members of the Anguilla Council and the British Commissioner. The first general elections under the new Constitution were held on 24 July, 1972. 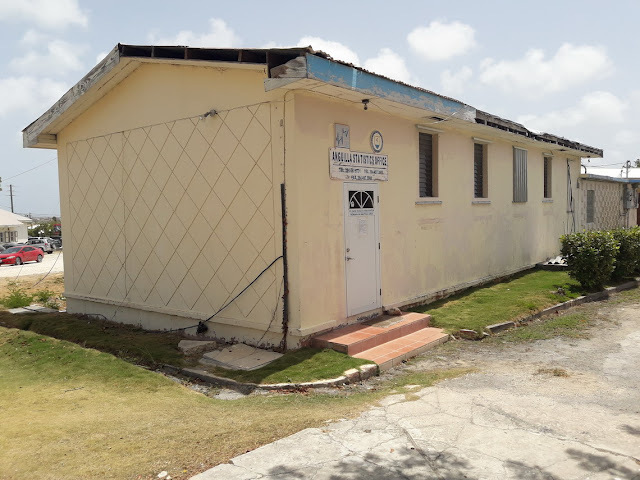 The Fourth Anguilla Council that resulted found itself completely without any power. Laws continued during 1973 to be made by Her Majesty’s Commissioner “after consultation with the Anguilla Council” without the benefit of debate in any Legislative Assembly. The situation remained unchanged during 1974 and 1975. The Anguilla Council was continually unhappy with the arrangement that gave the Commissioner total power and control. The result was a series of strikes and other civil unrest during the period of legislation by the Commissioner. The constitutional crisis of 1974 and 1975, caused in part by the lack of an Assembly in Anguilla, was calmed when the British agreed to constitutional reform. The 1976 Anguilla Constitution was made on 19 January and came into effect on 10 February, 1976. For the first time, this provided for laws to be made by the Commissioner “with the advice and consent of the Assembly”. Laws passed from this date were introduced into and debated in the Legislative Assembly, and then assented to by the Commissioner. These are proper laws as we understand them. They can be said to be the first laws that were truly made by the elected representatives of the people. The first such law was a humble and insignificant one, now long forgotten. The Anguilla Fund and Financial Administration (Repeal) Ordinance, No 1 of 1976 did nothing more than bring back the old St Kitts Finance and Audit Ordinance of 1965 with such modifications as were necessary to bring it into conformity with the Constitution of Anguilla. It was passed by the Legislative Assembly on 13 May, 1976. It commences with, what for a lawyer, are the magical words, “Enacted by the Legislature of Anguilla”. Modern constitutional government had at last come to Anguilla. In 1980, the People’s Action Movement political party in St Kitts gained power by defeating the Labour Party in general elections. The administration of the new St Kitts-Nevis premier, Dr Kennedy Simmons, negotiated with Britain for independence. The British agreed, on condition that Sombrero was transferred to Anguilla from which they could more easily control the light-house on that island and the sea approaches to the Panama Canal, and on condition that St Kitts let Anguilla go. So, by mutual agreement, Anguilla was separated from the Associated State and reverted to full colonial status. St Kitts-Nevis agreed, and Anguilla was brought under full colonial rule on 16 December 1980 by the Anguilla Act 1980 of the UK Parliament. In the year 1982, the Eastern Caribbean Supreme Court, to give recognition to the demise of the Associated States and their replacement by independent Commonwealth Caribbean countries, replaced the West Indies Associated States Supreme Court throughout the region. The Robert Bradshaw regime had previously vetoed Anguilla’s participation in any regional institutions, including the regional Court. The new St Kitts government of Dr Kennedy Simmonds relented, and Anguilla began to join the various regional bodies. The Anguilla Assembly passed the Eastern Caribbean Supreme Court Act, and re-entered the fold of the regional judiciary. From that time the Magistrates and Judges of Anguilla have been selected and appointed by the Judicial and Legal Services Commission, headquartered in Saint Lucia. By the late 1990s the old Courthouse was no longer adequate to serve as a multi-purpose building. The tourism industry had fuelled an enormous growth in the economy, and crime and other litigation had mushroomed. With British financial assistance, a new building was constructed in the administration grounds. Until Hurricane Irma of 2017, it housed the Magistrate’s Court, the High Court, and the House of Assembly. With the destruction of the roof over the House of Assembly on 6 September 2017, the two surviving courtrooms struggle to serve all three bodies as best they can. Abraham Howell, Anguilla’s first deputy governor, in a patent preserved in the Anguilla Archives stored at the Courthouse, describes himself as having been elected as deputy governor in the year 1666. In England, between 1653 after the dissolution of the ‘Rump Parliament’, and 1659 when the Rump Parliament was recalled, Oliver Cromwell ruled England as Lord Protector during the period known as the ‘Protectorate’. The UK Parliament therefore has been continuously sitting only since 1659. Acts of Assembly, Made and Enacted in the Bermuda or Summer Islands, from 1690 to 1713/1714. (London: Printed by John Baskett) v,79 pages folio, 1719. Acts of Assembly Passed in the Island of Montserrat; from 1668, to 1740, Inclusive, with an Abridgement. (London: Printed by Order of the Lords Commissioners of Trade & Plantations by John Baskett) x,146 pages folio, 1740. Acts of Assembly, Passed in the Island of Nevis from 1664, to 1739, Inclusive, With an Abridgment. (London: Printed by Order of the Lords Commissioners of Trade & Plantations by John Baskett) viii,168 pages folio, 1740. Acts of Assembly Passed in the Island of St Christopher; from 1711 to 1735, Inclusive. (London: Printed by John Baskett) x,182, 1leaf, 169-198 pages folio, woodcut ornaments, 1739. Anguilla Council Minutes, 1819-1841, previously cited. John Oldmixon, The British Empire in America (1708), Vol 2, p.264. The term ‘cattle’ at the time included pigs, sheep and goats. It was probably this last which the settlers brought to the island. CO 152/21: Mathew to the Committee. See for example the various correspondence and dispatches at CO.407/1 between Lord Bathurst and Governor-in-Chief Maxwell on the need for Anguilla to have laws. CO.240/16, at folio 315: Act No 198. An Act to Authorise the Freeholders of the Island of Anguilla to Send a Representative to the House of Assembly in the Island of St Kitts (usually referred to as the “Anguilla Act”. In Anguilla and the Leeward Islands the property qualification was removed in 1951, and universal franchise was introduced by the first Elections Ordinance. Its dimensions are so modest that one has difficulty referring to it as his ‘Estate Great House’. CO.240/17, folio 1. The law which enabled this sitting was entitled, Act No 1: An Act for Establishing Courts and Settling Due Methods for the Administration of Justice in the Island of Anguilla. Among the hats the Magistrate of Anguilla wore at that time were Registrar of the Supreme Court; Coroner; Registrar General of Births Deaths and Marriages; Registrar of Companies, Trade Marks, Patents, Co-operative Societies, Credit Unions, Friendly Societies, Newspapers, and Trades Unions; Secretary to the Medical Board; and Island Archivist. That explains why, when the Registry of the Supreme Court and the Registry of Companies were hived off in the 1990s, the Magistrate remained head of the Judicial Department. The Anguilla Fund and Financial Administration Ordinance, No 1 of 1972. The Anguilla Police Ordinance, No 3 of 1972. The Anguilla Council Elections Ordinance, No 4 of 1972. The Marriage Validation Ordinance, No 8 of 1972. The Court of Appeal (Special Provisions) Ordinance, No 10 of 1972; and the Supreme Court (Amendment) Ordinance, No 26 of 1972. The Rum Duty (Anguilla) (Amendment) Ordinance, No 13 of 1972; Boat Licensing (Amendment) Ordinance, No 14 of 1972; Liquor Licensing (Amendment) Ordinance, No 15 of 1972; Export Duty (Amendment) Ordinance, No 16 of 1972; Stamp Act (Amendment) Ordinance, No 18 of 1972; Vehicles and Road Traffic (Amendment) Ordinance, No 19 of 1972; Firearms (Amendment) Ordinance, No 20 of 1972; Public Pounds (Amendment) Ordinance, No 21 of 1972; Anguilla Airport (Embarkation) Tax Ordinance, No 24 of 1972. There were eight such laws in all, including the Anguilla Roads Ordinance, No 5 of 1973; the Anguilla Local Constables Ordinance, No 6 of 1973; the Accommodation Tax Ordinance, No 7 of 1973; and the Telecommunication Ordinance, No 8 of 1973. The Anguilla (Constitution) Order 1976, (SI 1976 No 50).